Ronak Tradelink Private Limited - Manufacturer of multi layer paper bags, plastic liner bags & jumbo bags since 1997 in Vadodara, Gujarat. 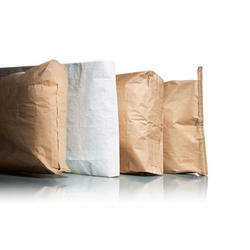 Multilayer paper bags are made from layers of natural and extensible sack Kraft paper which gives them great strength. Multilayer paper bags' major property is resistance while handled that provides optimal protection for product while stored. Multilayer paper bags are fabricated using high grade raw material in observance with the set industry norms in order to meet the international standards . Moreover, we offer these bags in different sizes, specifications and also customize them as per need of our valuable client. We are providing LDPE/HM-HDPE Liner Bags which is used for packaging of chemicals, fertilizers, sugar, food grains etc. 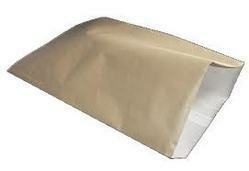 Our entire range of liner bags can be availed by the clients in various sizes and colors. Our LDPE/HM-HDPE Liner Bags are available in sizes & dimensions that meet specific packaging needs of the different clients. Our organization is involved in manufacturing and supplying a high-class range of Plastic Liner Bags to our esteemed clients. These Plastic Bags are manufactured using quality-assured raw material procured from some of the well-known vendors of the market. These bags are preferred because of their availability in a number of sizes, shapes and other specifications. Our experts manufacture these products using advanced technology and equipment and also make sure to check on the quality of these bags in our well-developed quality testing unit before dispatching them to our customers in order to safe-guard their interests. Our organization is engaged in manufacturing and supplying an exclusive range of HDPE & LDPE Products at Ankleshwar. These are manufactured in accordance to the set industry standard. All our products are manufactured using premium quality raw material, which is procured from the reliable vendors of the industry. We provide customized solution in regards to meet the specific demands of our valued clients. Besides, all our consignments are delivered within a well defined time frame, which set by our clients. We offer our range of HDPE & LDPE Products at market leading prices to our wide clientele. Our range is appreciated for their unmatched features. These products are matched with the international quality standard. We are the leading manufacturer and exporter of an extensive range of Jumbo Bags that are available in various sizes and are offered to various industries such as chemicals, dyes-intermediates, pharmaceuticals, minerals, rubber, sugar etc. 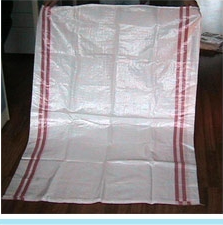 These Jumbo Bags are widely appreciated due to attractive specifications. 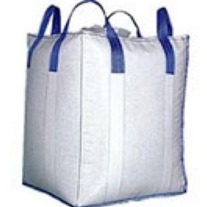 We are renowned nationally & internationally for manufacturing and supplying excellent quality Jumbo Bags. 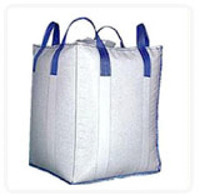 We offer Jumbo Bags which are also known as the Bulk Bags are most suitable for storage and carrying purposes of solid materials. These are designed to hold a vast range of materials safely and conviniently.